For many guys thinking of going on a diet, the idea of fasting is tempting, however, the prospect of going days without food can be too overwhelming. No one likes to experience the loss of energy that comes with going on a fast even though it does ultimately make you feel much better in the long run. Intermittent Fasting is gaining ground as a preferred way to reduce weight, gain health and live longer… But this isn’t a new fad — this is something people have carried out for thousands of years, even going back to biblical times. So what exactly is Intermittent Fasting? Intermittent fasting is when you establish an eating pattern throughout your day. Some of the time, you’re living on liquids; water, tea or coffee. The rest of the time, you’re eating healthy, nourishing foods. Some fasters will go to the extreme and count all calories as not permitted, this means you exist on water only not even coffee, tea or other low-calorie drinks. It’s up to you to what degree you prefer to integrate it into your life. There are likewise variants of the fast where you rotate hours or days where calories aren’t forbidden, but limited– versus how they’re unrestricted on the days when you’re not fasting. 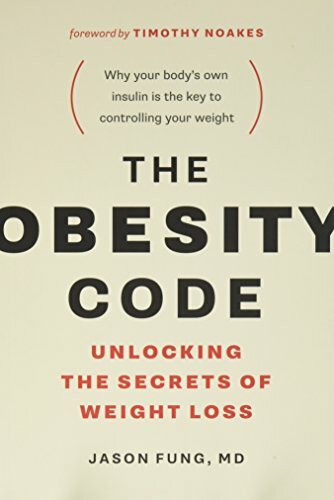 So for an example, on a “fasting” day, you might restrict your caloric intake by an extreme amount, consuming just 600 calories a day, while on a day when you are not fasting you could consume 2,500 calories or more. There are different ways that you can adhere to a regime of intermittent fasting. Many people fast for 8 hours then eat regularly for 16 hours. 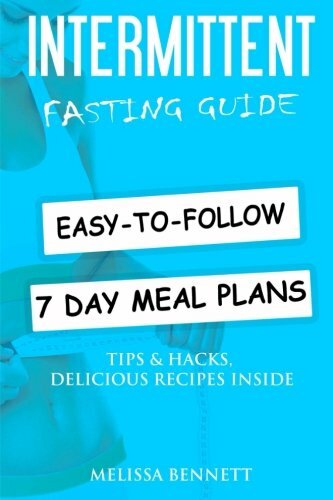 Another option is to alternate fasting days, one day one on a fast the other not. Really you may do it any way you like! 10 hours of fasting and 14 hours of eating. Whichever you feel the more comfortable with. You can start easy and then increase the number of hours that you fast for until you master it and know how your body will respond. What Are the Benefits of going on an Intermittent Fast? Besides the weight-loss health benefits, due to the fact that you’re ultimately reducing a specific amount of calories, you likewise achieve other benefits when adopting an intermittent fasting regimen. Some studies show that it might contribute to your longevity. Laboratory animals have shown that fasting does indeed seem to help achieve a longer life. It wasn’t the same for all the lab rats, though. Male and female rats have distinct results depending upon how frequently they fast– males fasting on a 24-hour rotation and females fasting once every three days. Your body actually learns how to better use the calories and nutrition that you give it when you start to fast. It regulates your fat storage and insulin usage more effectively. 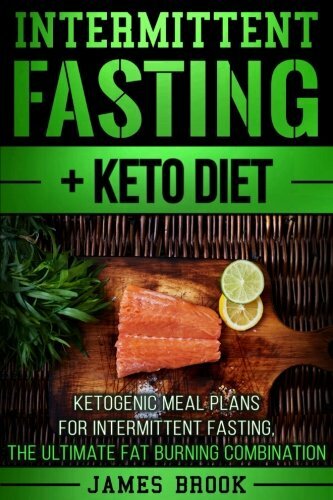 You will enjoy fasting if you’re active and always on the go because every dieter knows how hard it is to shop for, prepare and cook nutritious foods– and fasting eliminates those chores from your day. Intermittent Fasting saves you Money! Fasting cuts your grocery bill due to the fact that you’re eating much less food. Dieters typically have to spend a lot more since they’re suddenly buying fresh fruits and vegetables and lean cuts of meat rather than cheap, processed foods. Some researchers state that intermittent fasting encourages HGH– Human Growth Hormone– production. This helps stave off the aging process and allows you to live longer and healthier. You’re going to see your triglycerides and bad (LDL) cholesterol improve, your blood pressure achieve a more desirable normal, and the inflammation in your body will begin to reduce as well. Your cellular repair will be heightened and fat will burn at a rate you won’t have experienced before. Not only that your heart will perform better since fasting like this provides additional cardiovascular benefits. Studies are revealing that it serves to help delay or improve symptoms of Alzheimer’s too– apparently aiding in the brain’s capacity to store and retrieve memories. What Are the Negative Sides of Intermittent Fasting? No diet or fitness regime is without a downside and usually, it is down to how you approach that particular diet or workout program. If you fast for extended periods of time right off the bat when your body isn’t used to it, then you might experience the effects of not having food to provide energy for you to begin with. Many people rely upon caffeine and sugar to assist them kick-start their day, but if you improve your sleep hygiene and get a good night’s rest, you won’t need these stimulants to gain momentum. You might experience hunger when you first begin to fast. The sad thing is, most people don’t even know what hunger truly is any longer. We tend to eat on a schedule, not according to what our bodies are telling us. Our kitchen shelves are stocked high with foods, it is likely that you have never been in a situation where you had no food. Once you start to fast, you ’ll be more in tune with your body and eat when you’re really hungry and not eat calories simply because the clock says it’s time. A lot of this is mental, not physical in nature. You’ll be used to eating, so you’ll miss it. If you have habits of dropping in for a morning Starbucks or a muffin, you’ll feel hungrier when you fast because the habit’s been broken. But that will vanish in time. Since you’ve now restricted your food consumption, it’s more crucial to make sure you get the appropriate nutrition for the times when you are intending to consume calories. Eat foods that your body requires during that time. You definitely don’t want to burn up your non-fasting time with inadequate nutrition and empty calories that won’t make you feel full for longer. You don’t want to crash early; you want to feel satiated for a long period of time. Healthy options include lean meats, eggs, vegetables, nuts, a small amount of fruit and some carbohydrates such as rice but don’t overdo it. This sort of nutrition will make sure your body is getting the right nutrients, and that you feel full longer– more energetic for the fasting period when you’re consuming low or zero calorie options. Exercising on an Intermittent Fasting Regimen. When most people embark on a typical fast, their energy is drained dramatically, so they wait to exercise until they’re on the portion of their regimen where they are not fasting. But many advocators of the intermittent fasting routine say that the most effective time to exercise is at the end of your fasting period– right before you commence taking in calories again. When your body has depleted all of its glycogen stores, then it will burn pure fat while you exercise. At first, it might be hard to get used to this routine, but it gets easier the more you work the habit into your day. You still should keep up a healthy mix of cardio and strength training exercises. Some people wrongly conclude that by fasting, you’ll be shedding muscle– but it’s not muscle that gets burned off its fat so you will become leaner and stronger if you stick to an exercise routine. Don’t go insane trying to launch an intermittent fasting regimen coupled with an extreme fitness program such as CrossFit or P90X! You should probably start with light exercise initially and work your way up to a more rigorous exercise program. This type of plan isn’t for everyone. There are many benefits, though– so unlike other laborious diet plans, this one simplifies your life a lot more than it adds stress to it. You will discover how you can be more in touch with your hunger cues, and how to plan your eating so that you burn as much fat as possible during hours when it seems effortless. Much of what fasting involves is mental. You will need to suddenly learn how to drown out your inner voice that is screaming for food because “it’s time to eat!” You won’t starve to death going without a meal in 6 hours. You may feel uncomfortable initially, realizing there are true hunger pangs that exist when you hadn’t felt them before. But practically nothing awful is going to happen to you as a result of being on a fast. You are already fasting when you are asleep this is just an extension of that. Most Intermittent Fasters suggest not to go fast for more than 36-hours. That’s when you begin to suffer and not get the benefits of the fast. You might encounter periods of hunger as you first get going using this sort of fasting. It will stop and start, just keep yourself active when you feel especially hungry and try to keep your mind elsewhere, the feeling will soon go. You might be a little moody as you’re eating habits begin to readjust. People aren’t in good spirits when they lose sleep or have to skip a meal or have their routine disrupted. Fasting is different for everyone. Some are using it as a form of spiritual awakening. Others use it for weight loss or better health. Irrespective of your goals, make sure that you fast according to what you can handle and enjoy because if it becomes tedious and stressful it defeats the object. Take it step by step and if you fall off the wagon, don’t worry – pick yourself up and start again! Can You Drink Coffee While Fasting?